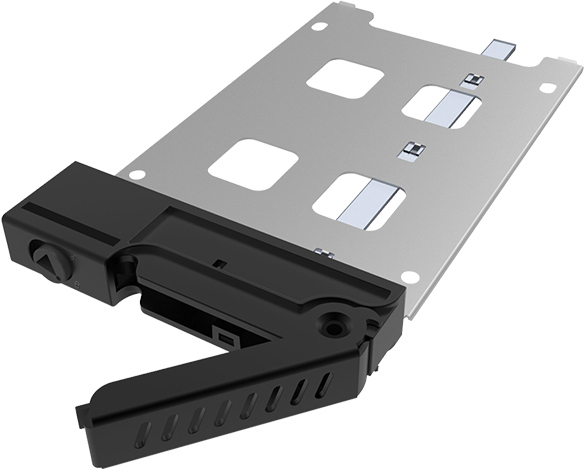 The highly innovative backplane CMR-125 sets a new standard by providing an additional HDD/SSD mounting option using a PCI slot. Compatible with all 2,5” HDDs/SSDs (height: 7 ~ 9,5mm) it sources its power via the SATA connection and offers LEDs to indicate HDD access and power while trays are detachable for easy installation. The case being 100% metal and lockable with 2 keys ensures maximum security. All installed discs are hot-swappable which makes it suitable for diverse applications.